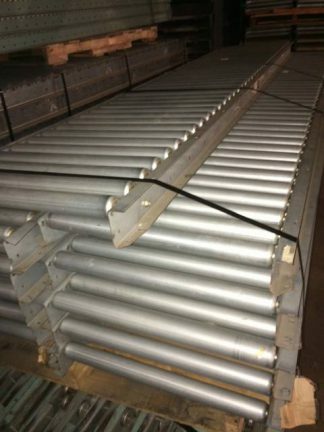 This Deluxe Brand Steel Shelving is in very good condition, the heavy duty box edge shelves are used, but the hardware and “L” Posts are new. 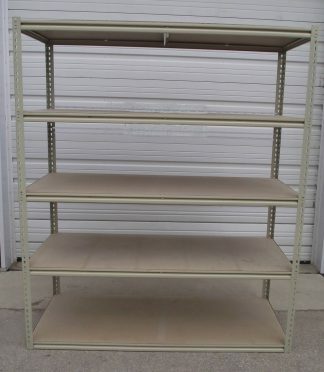 The Shelf Size is 2’x3′ and the posts are 84” tall. Each unit comes with 6 shelves, all posts and hardware. 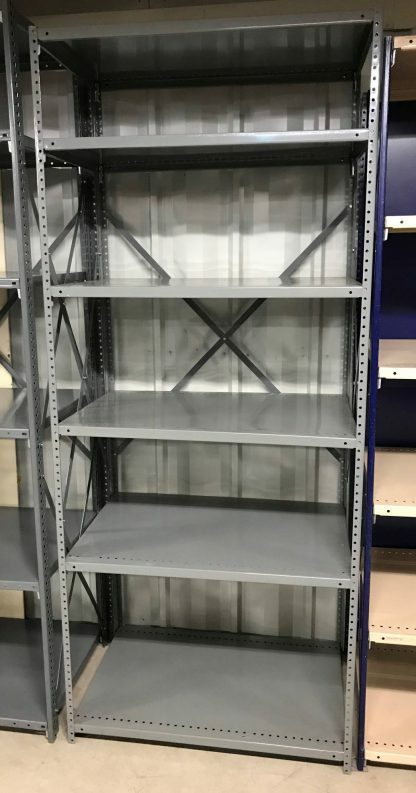 Each shelf is capable of holding a 600 lb evenly spaced load. 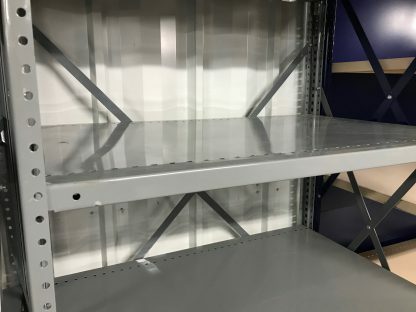 Additional Shelves can be added for $9.50 each.